Ortho Sport & Spine Physicians is a center of excellence in hip arthroscopy and hip health joint preservation. Ortho Sport & Spine Physicians, with offices throughout Georgia, is proud to be one of the Southeast’s leading providers of minimally invasive spine surgery. At Ortho Sport & Spine Physicians, we give patients the unique option of using biologics to treat their sports-related injuries and conditions. The orthopedic specialists from Ortho Sport & Spine Physicians are Georgia athletes' most trusted doctors. Ortho Sport & Spine Physicians consists of Double Board Certified, Fellowship-Trained Doctors and Surgeons in Metro Atlanta and Savannah whom specialize in cutting edge minimally invasive techniques designed to get you back to work and/or to your desired sport. Our lower patient-to-provider ratio, experienced physicians, and state-of-the-art facilities and equipment set us apart from other spine, sports medicine and orthopedic practices and provides for a superior level of care and an improved patient experience. 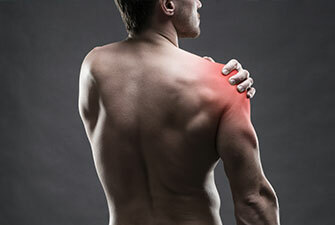 We treat athletes of all ages and skill level, industrial workers, and motor vehicle injuries. We invite you to visit our facility and meet our caring physicians and staff so you can experience the Ortho Sport & Spine Physicians difference! Ortho Sport & Physicians is proud to be a leader in minimally invasive spine surgery (endoscopic surgery). Our interventional spine and interventional sport physicians are highly trained and experienced in performing endoscopic surgery to treat a wide variety of injures and conditions. By combining our expertise with the most advanced equipment and technology and the most minimally invasive techniques, we are able to achieve amazing results for our patients. If you are looking for a long-term solution to your pain that offers fewer complications and a shorter recovery time, call us today to find out if endoscopic surgery is right for you. Ortho Sport & Spine Physicians is a center of excellence in hip arthroscopy and hip health joint preservation. Recognized by his peers as an expert, Dr. Phillip Langer, MD. is Double Board Certified by the American Board of Orthopaedic Surgery in both Orthopedic Surgery and Sports Medicine. Hip Arthroscopy is a rapidly evolving field in sports medicine providing reproducible pain relief and functional return to sport/activity with the long term goal of hip health preservation and restoration of normal anatomy. 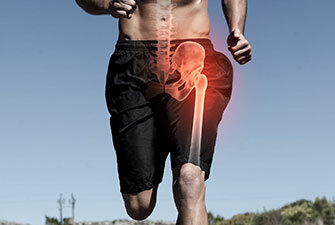 At Ortho Sport & Spine Physicians, we are not only at the forefront of the latest surgical techniques, but utilize biologics, such as PRP and stem cells, to address FAI, labral tears, as well as concomitant weight bearing cartilage pathology. Ortho Sport & Spine Physicians is proud to be a leader in sports medicine and sport related injuries of athletes of all ages and skill level. Our Double Board Certified Atlanta Sports Fellowship Trained Surgeons have worked as a team physicians for the NBA, NFL, and NHL teams. Utilizing the same techniques employed to treat these athletes, Ortho Sport & Physicians continues to take care of professional, collegiate, and high school athletes as well as industrial workers with shoulder, elbow, hip, knee, and/or ankle injuries. 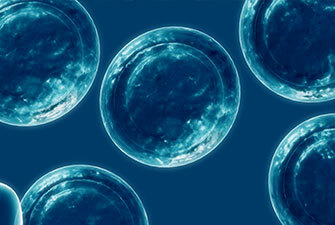 In addition we are at the cutting edge of non-surgical measures, such as biologics – like PRP and stem cells – to get you back to your pre-injury level of function as quickly as possible. Ortho Sport & Spine Physicians offers minimally invasive and effective treatment for herniated discs, pinched nerves, sciatica, spinal stenosis and many other types of back, neck and sports related injuries and conditions. If you are looking for a practice that offers expert treatment delivered by a dedicated team of physicians and a better overall patient experience, please contact our Atlanta Double Board Certified Back and Neck Doctors today and schedule an appointment. We look forward to helping you stay active and live your best life!